Copyright © Peter Haas - This image is copyrighted. Unauthorized reproduction prohibited. 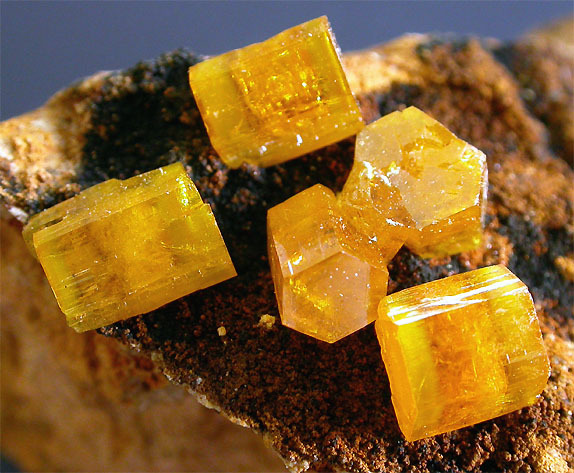 Lustrous lemon to amber yellow, colour zoned crystals to 5 mm. Field width: ca. 1.8 cm. P Haas photograph and collection (no. 72-165).